Everybody knows how important a good barn is to farmers. 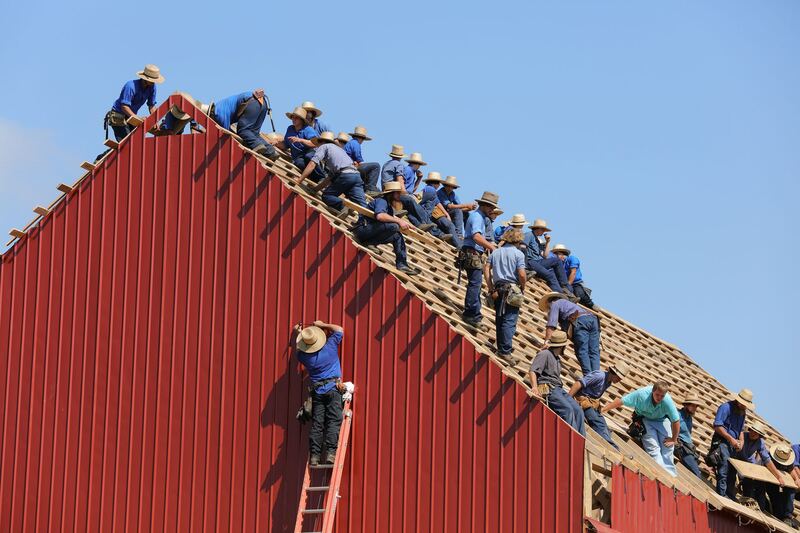 If you’re looking to build a barn or even replace or update your existing barn. Maybe you need a barn quickly? Or maybe you just need some safe and secure storage? Buying the wood and quality of wood you need for a good barn can cost you an arm and a leg. Consider replacing that with affordable quality containers. Using the correct containers will give you a quality foundation for your barn. Will wood rot? Simply do your research and make sure to use high quality containers because they are going hold up better and look best. Remember that not all containers are the same. Also look into new shipping containers for sale. Shipping container storage is one of the perks. Think of all that you can store in the container part of the barn and lock up. You need a barn that is safe and secure. If you are locking up valuable equipment and tools, you need a barn that deters thieves or at least makes it a lot more difficult to break into. A barn that uses quality metal containers can make this more secure than a barn made exclusively out of wood. 4.) Barns made with metal shipping containers are safer. A steel container is much more likely to keep a fire contained without everything burning down. Also containers are enclosed and will withstand the wind and rain. This is a huge benefit for those living in a place that gets lightning storms and tornadoes. 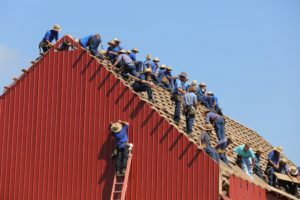 What if you didn’t have to wait a long time for your barn to be built? Container barns can sometimes be completed in a weekend or a day. You could even invite some friends over and make it an event. It could be a reason to have a BBQ, too. Have friends over. Build a barn. Fire up the grill. Maybe you don’t want a permanent barn. Well, container barns offer the option of being done temporarily. 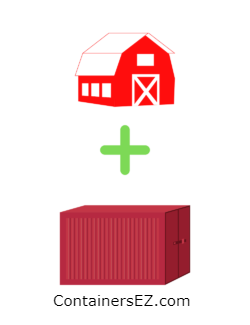 Should you decide to make a change (perhaps a larger barn), simply upgrade the barn, or even replace with another container size if you choose. Container barns can be built to last for years with a good foundation. Converted shipping containers are a way to go. It is all up to you and your needs. You can build a shipping container barn to really last. We understand how important your barn is and that you want to make the right decision. All things considered, a barn built with shipping containers just makes a lot of sense. We at Containers EZ are here to help. Give us a call at (805) 206-6963. Sarah Copeland is a freelance writer who lives in Central Texas but still holds pieces of Oregon and Montana in her heart. Sarah enjoys promoting professionals and businesses. She can be reached at sarah@copelandwriter.com or by connecting with her on LinkedIn.